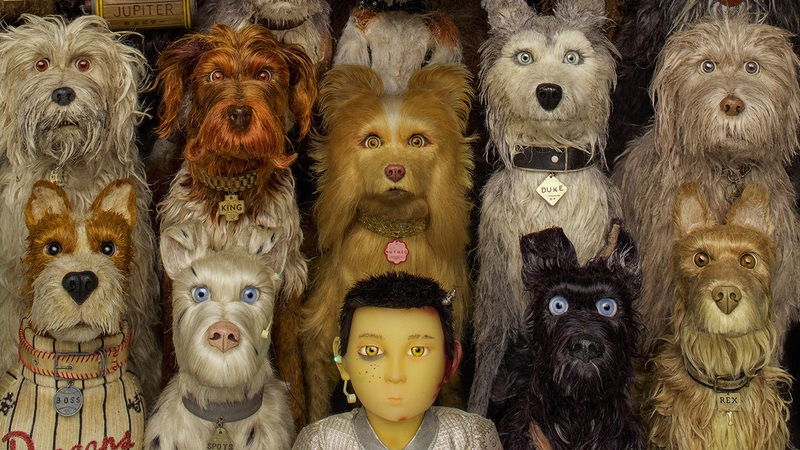 Wes Anderson has a new film — “Isle Of Dogs”. Although it’s getting pretty good reviews, it’s also facing some controversy. What’s the problem? Some folks are screaming “cultural appropriation”. First of all, what is cultural appropriation? It happens whenever someone from a dominant culture takes or adopts elements from a minority culture. Let me say something: I’m a Wes Anderson enthusiast. However, that doesn’t cloud my judgement on this matter. At least, I don’t think so. For those who haven’t seen the film, it’s about a little boy that goes on a quest to find his lost dog. So where does the whole “cultural appropriation” fits in this film? The story is set in Japan. The protagonist is Japanese, the antagonist is Japanese and almost 99% of the characters are Japanese. However, it was a white man who brought this story to life. Wes Anderson wrote it, directed it and produced it. In addition, most of the voice-actors were white as well. Bill Murray, Jeff Goldblum, Liev Schreiber, Bryan Cranston and Scarlett Johansson. Does this mainly white cast sound wrong to you? You tell me. Why are some people feeling triggered by the film? Just to give you some more insight, the Japanese characters are speaking in Japanese and all the dogs trapped in the island are speaking in English. Some are arguing that we don’t empathize as much with those that we cannot understand. Honestly, I don’t think Wes Anderson did it in a deliberate way. If I were the director I would probably have made that decision as well: Japanese people speaking Japanese (makes sense), whereas the dogs speak in English. If the dogs spoke Japanese as well, I’m not sure if the non Japanese audience would’ve connected with them. In my opinion, the story was more focused on the dogs than the boy itself. The boy’s quest to search for his lost dog was more like a bridge connecting the two worlds: the humans and the dogs. Some people are feeling uncomfortable because of the film’s mainly white cast. However, I don’t think they should be. Making films is an art, but it’s also a business. Any director or producer that wants its film to win, will hire heavy-weight names. They know those names will bring an audience to the film. Whether you like it or not, Hollywood has some of biggest “stars” in the world and that’s why they get hired. That’s my personal opinion, it has nothing to do with “white” being right or better, they just want the most bankable people attached to the film. Wes Anderson and “Isle Of Dogs” are being accused of romanticizing the Japanese culture and country. To be honest, different cultures tend to romanticize each other. I’m pretty sure, Japanese people’s perception or idea of the western world is very different from what it really is. That’s just something we do. In Wes Anderson’s case, he’s known to be a stylized director, which means he puts a lot a focus on the aesthetics of a film. Therefore, I’m not surprised he chose Japan as a background for his story. In addition, there’s a lot fairy-tale like elements in “Isle Of Dogs”… so setting it in a foreign country (Japan) really gives that extra special “spice” to the film. Having said that, I believe words like “cultural appropriation” shouldn’t be thrown at the film. Let’s call it “cultural homage” instead. Wes Anderson told the story from his point of view, which is what artists do. He’s not documenting, he’s telling a story in a very Wes Anderson way.